The ReorderList control in the AJAX Control Toolkit provides a list that can be reordered by the user via drag and drop. The current order of the list shall be persisted on the server. 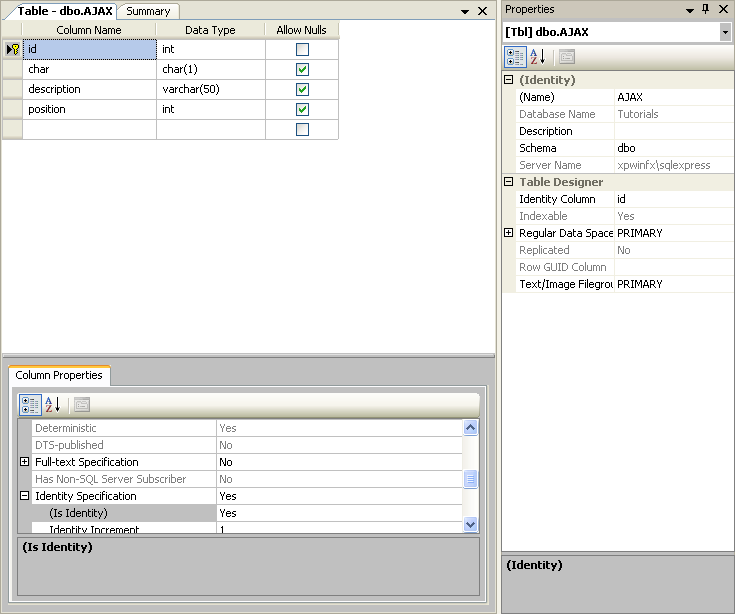 The ReorderList control supports binding data from a database to the list. Best of all, it also supports writing changes to the order of the list element back to the data store. This sample uses Microsoft SQL Server 2005 Express Edition as the data store. The database is an optional (and free) part of a Visual Studio installation, including express edition. It is also available as a separate download under https://go.microsoft.com/fwlink/?LinkId=64064. For this sample, we assume that the instance of the SQL Server 2005 Express Edition is called SQLEXPRESS and resides on the same machine as the web server; this is also the default setup. If your setup differs, you have to adapt the connection information for the database. The easiest way to set up the database is to use the Microsoft SQL Server Management Studio Express (https://www.microsoft.com/downloads/details.aspx?FamilyID=c243a5ae-4bd1-4e3d-94b8-5a0f62bf7796&DisplayLang=en ). Connect to the server, double-click on Databases and create a new database (right-click and choose New Database) called Tutorials. Next, fill the table with a couple of values. Note that the position column holds the sort order of the elements. SelectCommand="SELECT [id], [char], [description], [position] FROM [AJAX] ORDER BY [position]"
Run this example in the browser and rearrange the list items a bit. Then, reload the page and/or have a look at the database. The altered positions have been maintained and are also reflected by the values in the position column in the database and that all without any code, just by using markup.